First, it was kangaroo skin tablet covers, now it's felt. The iPad and its fellow tablets have spawned a burgeoning side industry. Latest onboard is new local netbook, notebook and tablet accessories brand, nKliq, with a new range of Jacket Sleeves for tablets of all shapes and sizes. The tablet sleeves are made from high-quality felt material and come in two sizes – one for larger tablets like the iPad 2, Motorola Xoom, Samsung Galaxy 10.1 and similar 10.1-inch tablets and the other, is specifically customised to fit the Asus Transformer TF101 and Toshiba’s upcoming tablet models. nKliq product manager at Kanzen International, Brad Smith, said the company did not want to create another iPad accessory but rather, wanted to provide quality protective accessories to all consumers purchasing alternative branded tablets. “With the many tablets coming into the market now there is a definite demand for tablet accessories and our Jacket Sleeve is our starting accessory for tablet PC’s with more to come soon,” he said. 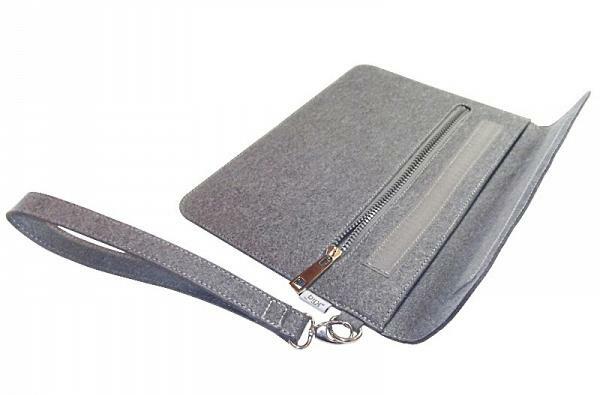 The product includes a zip pocket for storing smartphones, pens, etc. and a hand strap to secure the tablet while carrying it around. New colours and alternative materials will be released at a later date. nKliq’s product range is still continuing to grow and products that are in development are in the same portable category – along with the addition of adding solutions to screen protection technology in smart touch screen phones and tablet PCs. “We don’t just release odds and ends but are very selective what we release to the market,” he added. The larger tablet sleeve is available through Dicker Data and Anyware Computer Accessories, while the smaller sleeve is solely distributed by Dicker Data. More new Australian distribution partners will be announced for smart touch phone accessories at a later date.